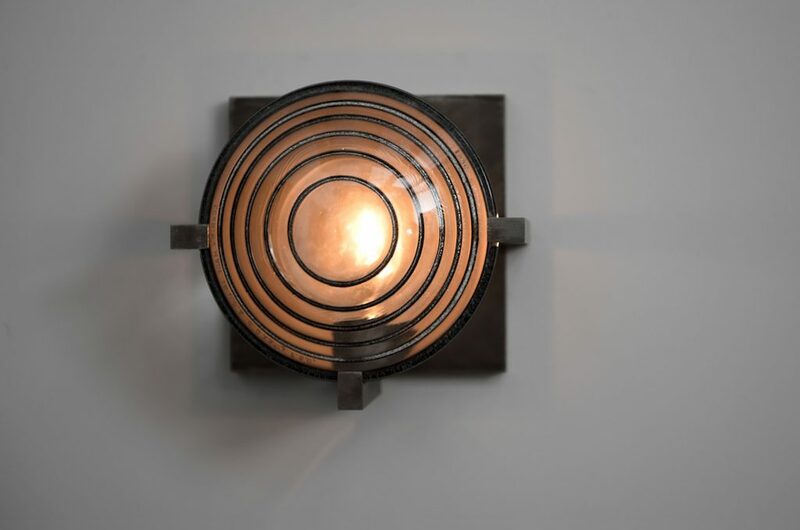 The Lens Sconce was inspired by vintage glass lenses found at Mack Sennett Studios in Silver Lake, Los Angeles. It’s simple and effective design include a medium bulb socket that is exposed from the sides and masked by a glass lens. The body of the sconce is made of patinated steel. 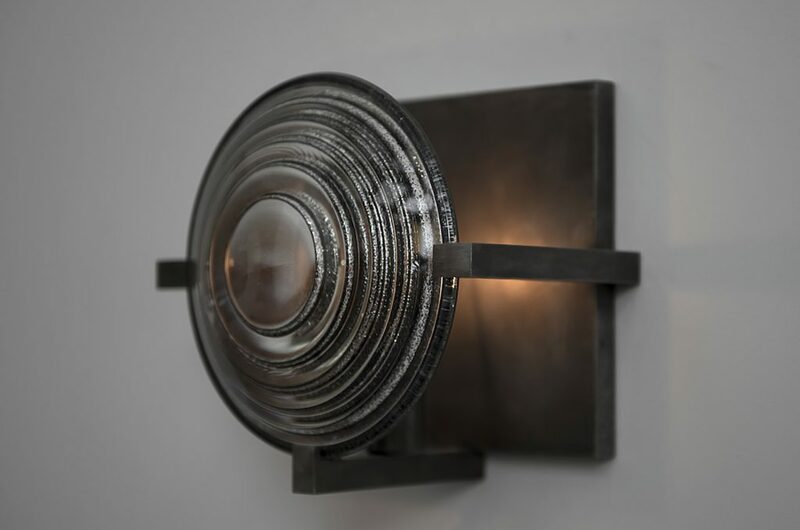 The Lens Sconce will add a simple, effective way to light and environment craving a touch of the Industrial flavor and works best on a dimmer switch.